For those who think “relevant research” is an oxymoron, the new Livestock and Forage Centre of Excellence (LFCE) at the University of Saskatchewan offers food for thought. The centre is a unique complex of science and field laboratories that model all aspects of raising livestock on the Canadian Prairies. Located near Clavet, Saskatchewan, this facility provides researchers, faculty, students, industry and producers with a broad-based platform for research, teaching and extension activities in three main areas: cow-calf production, beef cattle production and forage production, including grazing and pasture management. 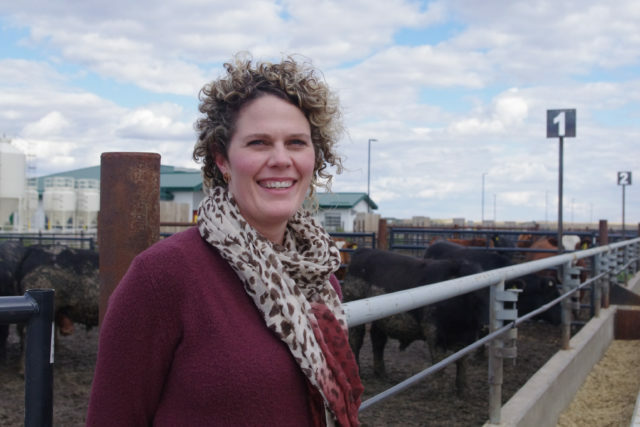 “Our goal is to ensure that we’re doing research which informs producers in livestock and forage production and equips them to be at the top of their game, so they’re not just profitable but sustainable,” says Kathy Larson, interim director of the LFCE. The centre’s roots trace back to 2012, when the Saskatchewan Ministry of Agriculture commissioned a report to review beef and forage research capability in the province, including both human capital and infrastructure. 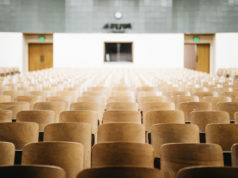 Among other things, the report stressed the need to rebuild the outdated university feedlot in Saskatoon and foster more research collaboration in the wake of several retirements by key researchers and academics. In April of 2014, the province’s Minister of Agriculture Lyle Stewart gathered university, government and industry representatives to form a livestock and forage steering committee and help chart a path forward. 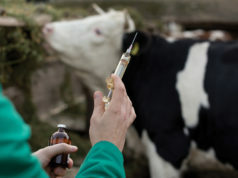 Based on their recommendations, the LFCE was created by merging three entities under one umbrella: Western Beef Development Centre (now known as the Forage and Cow/Calf Teaching Unit), Goodale Research Farm run by the Western College of Veterinary Medicine and the rebuilt university feedlot, now known as the Beef Cattle Research and Teaching Unit (BCRTU). With 27 quarter sections of land at its disposal, the LFCE boasts a 1,500-head feedlot capacity, 24-stall metabolism barn and two separate cow herds numbering 165 bulls and 300 females. Throughout the planning stages for the centre and now as part of its daily operation, collaboration has been a recurring theme. The centre’s location of Clavet, is another distinctive aspect. Known as a greenfield site, the land has been cropped annually with no impact from livestock production, making it the perfect setting to study the effects of animal agriculture going forward. By installing a range of monitoring equipment that includes in-ground instrumentation, researchers can track the effects of livestock on soil, air and water, producing concrete measurements to validate industry claims around environmental protection. Ultimately, Larson and her colleagues see the centre as offering wide-ranging benefits in a number of critical areas, especially public trust. Consumers of all ages have questions and concerns around livestock production. In response, researchers will test drive options for enhancing animal welfare, animal health, product quality and food safety on Canadian farms. The centre also employs an outreach specialist to engage youth and the general public, and collaborates with other such efforts like Agriculture in the Classroom and Farm & Food Care Saskatchewan. “Given that we’re just 20 minutes from Saskatoon and its population of 260,000, we want to be an outlet for learning about animal agriculture,” says Larson. As input costs increase, livestock producers must adopt the most efficient methods of managing their herds. With access to the entire livestock production chain, scientists can analyze the pros and cons of adopting one or more cost-saving measures in a real-world setting. Just as the centre offers consumer education, it is poised to be a prime learning centre for students, granting access to the latest technologies, advanced handling facilities and an ample supply of animals. Of course, the programs, personnel and infrastructure that comprise the LFCE come at a price. To date, funding has been provided by the University of Saskatchewan, College of Agriculture and Bioresources, Western College of Veterinary Medicine, Canada’s Growing Forward 2 program and the Saskatchewan Cattlemen’s Association. In addition, A&W has donated $5 million to the centre, an interesting storyline given the backlash from the rural community over the company’s recent beef marketing campaign. The money covers capital ($3 million), outreach and engagement ($1 million) and a fellowship of $1 million. While it may seem a contradiction to some, Larson sees it differently. “I view A&W as promoting a non-conventional stream of production and some producers raise animals to fit that stream. Ultimately, the company wants to sell more burgers, and they see funding research that supports producers as part of that effort,” she says. As a farmer with 30 years of experience and counting, Thompson stresses the importance of making research relevant to producer needs. The strategic advisory board meets twice per year to identify research priorities and brainstorm new ideas, always looking for ways to help producers profit while promoting environmental sustainability. “To my knowledge, the centre’s approach of researching so many different areas and following the animals from conception to carcass has not been replicated anywhere in the world,” says Thompson. Given his displeasure with how the industry is sometimes depicted, what is Thompson’s take on the support from A&W? That industry is what Thompson “lives and breathes,” and he’s thrilled that three of his four children want to follow in his shoes. “The LFCE plays a critical role in strengthening the link between the lab and the land. I look forward to seeing the many ways it will enhance our business and boost revenue so we can continue supporting our families, the environment and the country as a whole,” he says. Those are ambitious goals, but the people behind the centre feel they’re well on their way to making “relevant” and “research” as natural a pairing as Western Canada and the perfect steak. Next articleHow are Pesticides Registered, and is it Good Enough?